Every year as soon as school finishes, I escape to Tiritirimatangi. This is a time of reflection and an opportunity to recharge my batteries. Each year is no different. Sometimes too, I escape at other term breaks. 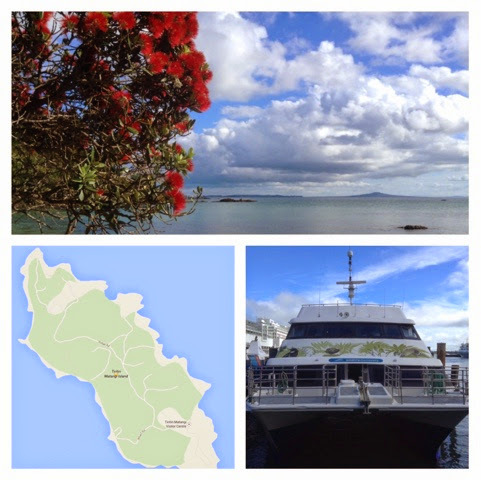 Tiritirimatangi is an island just out of Auckland and is only accessible by the Tirikat boat. I usually come by myself as I enjoy the solitude. I also like to come out on a Sunday and return on a Wednesday as on Monday and Tuesdays no ferries come here so the island is nice and quiet. Getting ready for the journey is always stressful as I pack and try to ensure I have my togs, snorkel gear, a lavalava, my bedding and decent walking shoes. I take enough food for 3 days and a little extra in case we need to stay longer. I try and keep plastic to a minimum and use old jam jars for storage instead. I pre cut all vegetables except for potatoes. I take clothes in layers. Eg, bike shorts, loose pants, singlet, t,shirt, long sleeve shirt. Rain jacket. I always take a sun hat. The stressful part being, have I got everything? Once on Tiri it’s not like I can pop down the road and pick up milk. We are talking isolation. I stay at the DOC accommodations which is really like glamping. They have bunks, solar electricity, running water, cooking gear, gas stoves and even a microwave. Devices can be charged and sockets are shared. 3G access is a bit naff, unless I climb the hill and balance on one leg with my arm stretched out. Once leaving Auckland, the ferry travels for 50 minutes and stops at gulf harbour to pick up the next group. Then in another 15 mins we are there. On arrival the ranger call all arrivals together for a quick debrief and gear is loaded onto the service trucks. Like I said, glamping. I walk straight to the accommodation and unpack my gear, have my lunch then head over to the other side to search out a quiet spot. Accommodation is primarily for staff and volunteer supporters. However if you are really lucky, you can score a spare bed. Don’t forget ear plugs, because you might end up with someone like me who snores. I don’t want to share too much regarding the Island as the supporters of Tiri make money by selling maps and general information. It only costs a $1.00, so do buy one. In the forest I sit and listen to forest sounds. I sit and listen to the birds calling each other and can identify most of them. I hear the wind passing between the tree branches and in the distant I can hear the waves of the sea as the tide changes. I love seeing the leaves of the trees move gentle in the breeze. If I find a warm spot, then it is a chance for a nana nap. Where else in the world could you do this and not worry about personal safety? My favourite time of the day in the forest is early morning or early evening as the birds wake up or quieten down. 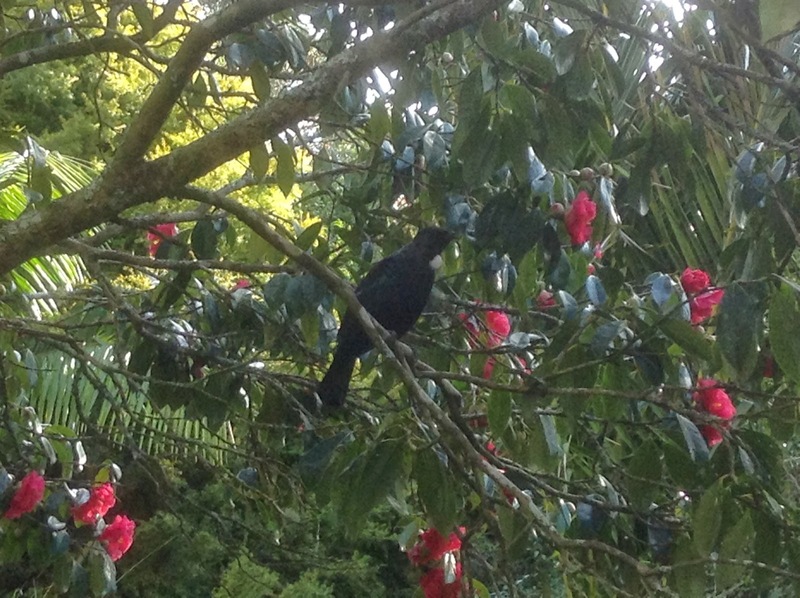 The Tui are always the first up and are the last to sleep. Sometimes I listen for the wing sounds of the birds and see if I have identified them correctly when they come to my view. My favourite wing sound is the Kereru as it whoomp whoomp past and sounds like a helicopter. I have many favourite spots on the island and one is the bird baths on Wattle drive where I can sit and watch the Tui dart back and forth to chase of all the birds who try and sneak in for a splash. Every so often one gets in and I watch them having a cooling down session. I also like this part of Tiri because I have seen the Kokako here many times. As I sit I identify the smells around me and generally it smells like compost. This is a good clean smell. If I have woken early for the dawn chorus and as the forest quieten I usually make my way to the beach where I like to have an early morning swim in the area where the Tirikat docks. There I have seen sea horses feeding on seaweed early in the morning. Depending on the season, I love to float on my back and watch the kereru swoop from tree to tree. If I swim near the rocks, I watch the kakariki parrots chattering on the harakeke that grow along the shoreline. If it is December I can look up the shoreline and see the Pohutukawa trees in full flower and I know that summer has arrived. The holidays stretch out in front of me and I sigh blissfully, because I know how fast they pass. I have met some interesting people while visiting Tiritirimatangi and most come for the solitude that the island gives. My favourite is when there is a researcher and often they are so excited to share their findings with a complete stranger. I also love finding old timers who have been there since the beginning and they always have fabulous stories. Generally though the usual clientele are Tiri supporters who have come across to help with island maintenance. Every time I have visited I have managed to see kiwis at night and I always see the kokako. I take the same paths and I swim in the same spots. Each visit is different to the last. I visit the shop and spend a few hours but do not buy much. I just love to see the art work and to see if the local artists have really captured the life on a Tiri and generally they do. Visiting Tiri allows me to reflect on my place on earth and after each visit I return home with renewed energy to remind others of leaving a legacy for future generations. Do you have a favourite escape place? Where is it and why is it special? Do share and tag me. October is usually a crazy busy month for me. It is my mum and dad’s birthday. In addition it is my youngest son’s birthday and also my birthday. This October I have probably taken on far too much but because I have been in the world of education for 30 years, I know that sometimes it just gets like that and helps with the sprint to the end of the year for our New Zealand summer holidays. Plus it is the learning that ignites my education fire and I find it exciting and stimulating. I am passionate about teachers and their learning too. To help give you a bit of an overview, here is what my October looks like for me, without those important four family dates and all the practises in between. 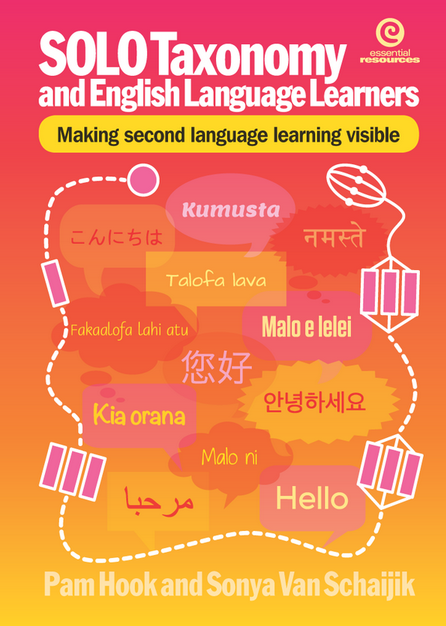 I am also aiming to complete my Flat Connections Global Educator Certificate with Julie Lindsay. Already I have learnt that I do not give enough opportunities for my teams to get to know each other with a handshake. I have immediately remedied that by setting up a padlet for my #TeachMeetNZ project. In addition set up systems to support our RTLB with the next roll out of iPads for their teaching and learning with students. Currently I am reading around minecraft as I believe we need to explore this programme further. Sometimes I am asked why do I take on the extra outside of my school life, however those of you in my PLN who read this, you will fully understand when I say all the extra benefits me, my learning and therefore benefits my school. How else do I know how to help our teachers create videos, help them with reflective blog posts, help them with their inquiries and presentations and know who to ask for help or call in to skype with our children and share their expertise. Ultimately this helps them This is because I am right in the middle of it all. PS: I aim to visit Eden Gardens too these holidays and I hope to get my garden planted for the summer. I used my ipad to navigate the massive unknown city easily. I felt like I was learning on my feet. I was continually adjusting my expectations and flowing with whatever happened. I had a goal of meeting some London tweachers and one in Essex but unfortunately to circumstance meeting them did not eventuate. Not to worry as I will catch up another way. However the greatest learning happened with me. I have booked to be in China for 6 days but if I organised my visa too early, it would no longer be valid when I got there. So via the Internet I managed to schedule a meeting with the London Chinese Visa Office. I needed a letter of invitation from a contact in China and copies of variety of papers. This was all achieved and I needed to return a few days later to collect my visa and my passport. I took the opportunity of visiting my dad’s family in Essex and it was exciting to visit the area that his father came from. Using technology I put the cousins together using facetime and to watch the pair chat excitedly to each other was priceless. Face to face communication via video chat is becoming easier to use than a phone and a lot cheaper too. The closest that I got to a local school was staying right behind one in the town of Maldon. Maldon is world know for Maldon salt. My second cousin whom I had never met put me up for two nights and spoilt me rotten with her time and hospitality. It was such a lovely experience to meet family and its as though I have known her all my life. To get to Maldon, I took the National Rail to Chelmsford and then caught the bus to Maldon. On the bus I had a lot of help for some locals who directed me when to disembark. I loved hearing the almost cockney accents. After doing the reverse trip, I was soon back in London and spent the afternoon travelling to Twickenham and discovered it as the centre place for English rugby. I popped there to visit a brother of an old friend. The following day I took a full days tour to visit Kensington Palace, Stonehenge and then Bath. All were amazing places of history. I particularly loved Stonehenge and could have easily spent more time in Bath for its fascinating history. During the trip, I was exhausted and as soon as I got on the bus, I was asleep and only woke to get off and visit these amazing places. My biggest learning is pacing myself and not to stress if things do not eventuate. Use every challenge as learning and try and eat properly and drink my water. Plan time to write and to catch up with family and friends back home. I love using instagram and twitter as a way of micro blogging and sharing photos with my friends and family back home. I have also started to use viddy more with short snippets of video to help visualise my journey. I am challenged with using facebook and think I would like to create a slideshare next from Denmark and include audio to share with the children at Newmarket School. One great idea is to get the Heathrow Express to Paddington Station and from there, you can literally get anywhere in London. The journey takes 15 minutes so well worth the extra. To get to my accommodation I booked a prepaid Heathrow Express online, but this is not really necessary as there are kiosks for buying tickets. The journey took 15 minutes and it was in air-conditioned cabins. Again Viatorwas most useful for tours. Here are the current deals for London. One tour I took was visiting the Eye. I took this one so that I get a Birdseye view of London. One recommendation is not to visit in the late afternoon and the position of the sun made it challenging to get any decent photos. And get the fast track ticket. The normal queue was a 3 hour wait. I visited family in Essex and took the National Rail line to get to them. The Train line, and City Planner and National Rail are great apps to download. It is probably a good idea to zoom out on google and identify the area you choose for accommodation. Most have a local rail link that easily connects to the main tube systems. For dinner, I recommend finding La Fiama a little Italian restaurant that makes the most amazing and reasonable authentic Italian food. I got to meet Fanco Manco the pizza Chef. My accommodations included the Crown Plaza and the Best Western to be close to the Chinese visa application. Both I got through last minute deals. If you use any website for cheap accommodation do pop onto Trip Advisor and see what the latest feedback is. The Crown Plaza was most luxurious but they were going through renovations. Fortunately I was waking really early so construction sounds did not bother me from 8.00am. The Best Western, was great and suited me fine and I think that it is time for New Zealand to consider selling single rooms in stead of just doubles. After returning from Essex I stayed at the Hyde Park Boutique. They put me in a basement room. Again I was happy with the accommodation. To get around I used the fantastic Oyster Card system. For ENG 2.50 you can hop on a tube and for Eng 1.50 you can get around on the busses. This was a tip that I received from a coupe of friends who had recently been through London. So in all using the buses are a cheaper way to getting around the centre, but the tube is definitely faster. Without the oyster card, the trips would be double in price. . There were times too that I used the black cab, but that was usually if I was a little lost. The cabs are constructed in a way that there is heaps of space near seating for luggage. They were always clean and again I felt really safe. The drivers were generally helpful and polite. I only had one cabbie offer to help me with my bags. Both hotels had free wifi, but both sucked and I was lucky to have purchased a simm card at Paddington station with 2 GB of data. I used 1.5 KB of data during my total time so was able to see that I need about 2 KB per week. In total I spent six days in London. Having access to the WiFi allowed me to move around easily and flexibly. Two of those e days included visiting Essex and Twickenham. It was a pain sorting out my Chinese visa but yet at the same time the challenge all added up to the adventure. Being conscious of weight, I off loaded a few clothes and put all the extra books in my back bag. At the airport I came in at 22 Kg and they let me through. London was fascinating. I loved the massive mix of cultures and languages. There were lots of free stuff to do and by riding the transport system you can get around many places easily. I sometimes tipped for services or if I was helped with my bag. London highlights included the day tour that visited Kensington Palace, Stonehenge, and Bath. I really wished I could have had extra time, as I was also keen on getting to Dover. I loved people watching, riding the transport systems and eating amazing Fish and Chips at the local pub. I was fortunate to meet a Finnish girt and her mother and we had an interesting discussion about her schooling. She was 12 years old and fluent in 3x languages. I watched them get online and access all the information they needed in Finnish so again, the children we teach must be digitally literate. She helped her mum navigate the tourist information and the transport system in Finnish. It was good to have all my food served on normal plates and to eat with a real knife and fork. I felt safe wherever I went. Maybe next time, I would come back for a longer time and get out of London faster. In Hawaii, I rode the Waikiki Trolleys around Waikiki and Oahu. There was the Pink Trolley that covered the central area of Waikiki. Then there was the red trolley that covered the historic sights of Waikiki. Next there was the green trolley that covered tourist highlights around Waikiki and finally there was the blue trolley that covered the sights on the Eastern side of Oahu. One of the best apps I found was Viator. This came via my hairdresser Tim, who is the font of all knowledge and teaches me heaps about mobile technology. Here are the current deals for Hawaii. One tour recommended was a 6.30am sunrise tour to the top of diamond head. I took this one so that I could complete the climb before the heat of the day. I climbed Diamond Head however it made little difference as it was hot as when we got there and the sun was already up. In the afternoon, I booked and took the Polynesian Centre tour which included a luau, and Al’ii entertainment. My accommodations included Stay Waikiki on Koa avenue. I booked this online through Hotels.com. This was a 3 star hotel and after reading suggestions on Trip Advisor, I took sleeping eye pads and ear plugs. I also had booked in the Atherton YMCA for a week, but the heat got to me and I returned to the hotel. The hotel was clean and adequate and you get what you pay for so be prepared. If you want the flasher rooms then book in the more expensive rooms. The bonus was it was one block back from the beach, cheap and I felt safe. The staff are really friendly. If you choose to stay here, then ask for a fridge because they do not come with the rooms and ask for a room above the 5th floor. On my last day, I found out that there was also laundry facilities in the basement. I had been washing my clothes by hand and hanging them out on the balcony. They were usually dry by the time I came back in the afternoon. Remember to get a stretchy camping line for washing. Be prepared for the SLOW as lifts. To get around I used the amazing Honolulu The Bus system. For US$2.50 you can hop on a bus and get a transfer bus pass that allowed continuation of a second trip. So in all using the buses is a cheap way of getting around the Island. There were times too that I used Eco Cabs and I cannot recommend them highly enough. They were always prompt, cabs are clean and again I felt really safe. The drivers were really helpful and polite. To get to my accommodation I booked a prepaid shuttle through viator and that was such a good idea. When I got off the plane, my pick up was waiting with my name on an A4 Card so no problems. Stay Wikiki had free WIFI and included Island wide WiFi but the speed was too slow for me so I ended up purchasing a Go to Simmand unlimited plan for the 10 days I was here. This allowed me to see that I would not be needing my cell phone much longer. Just an ipad and a data simm. I wonder how long before the telecommunications would see the importance of just offering data. The costs worked out at about $5.00US per day for unlimited access. I used this to face time family and friends back home and to upload videos and photos to my picassa and youtube channels. Mobile internet access allowed me to be totally independent. For eating, I often had dinner at Blazing steaks on the corner of Koa Road and loved their steak and shrimp special with salad. I also bought bananas and sometimes cut up pineapple from the ABC store. In addition I tried out Bubba Shrimps at Ala Moana restaurants. Breakfast was part of my hotel and it was good to have just toast and coffee each morning. But you do pay extra for this via the amenities charge that you pay when signing out at $10.00 extra a day US. I took some coffee sachets but in reality I have not missed having coffee. In total I spent nine days in Hawaii. Having access to the WiFi allowed me to move around easily and flexibly. Some of the apps I used included The Bus, Viator, Trip Advisor, Maps. Now when I left New Zealand my suitcase came in just on 23 Kilos. When I left Hawaii this had incread to 53 lbs and at the aiport I needed to take off the children’s books and put them in my hand luggage or this was going to cost an extra $200.00 US. So whether the humidity had expanded my clothing, I don’t know. I did not buy anything extra. I can already see that I bought far too many clothes. Within 4x days, I lost a towel, two sunhats and a pair of glasses. I loved my time in Hawaii. The people were really friendly and generally helpful. There are lots of free stuff to do and you do not have to spend a fortune to have a good time. I was not quite used to tipping but got better at it by the time I left. Some of my tourist highlights included the Ukulele Festival at Kapiolani Park, walking to the top of Diamond Head, visiting Hanauma Bay, just seeing trees laden with mangoes. I also loved watching the Hula on the beach and hearing the Hawaiian language making a comeback. On reflecting, I was a tourist in this beautiful place and was acutely aware of my own contribution to the demise of the environment. Plastic was used everywhere. Even at the school where our lunches were served on polystyrene plates and we used plastic cutlery. In the hotel I stayed at, it was the same. The huge amount of waste. Eg: there was no recycling bin for scrap foods. One local said ‘But time is important and it costs to get someone to wash dishes.’ Yet waste was heavy on my mind. Buying fresh mangoes or other fruit was not as easy as I thought. Except for apps, oranges and bananas, everything was precut in plastic containers.